I have a batch of fully rooted Kratom tree’s ready to ship. The Mitragyna Speciosa Tree’s for sale here are called Rifat. The Rifat strain has a long history of distribution throughout all of the US and even worldwide. This is one of the most famous Kratom plants available today. Rifat is a very hardy Kratom tree that can withstand strong winds, heavy rain, and intense full sunlight. This is a must have Kratom plants and if your a beginner, I would especially recommend the Rifat strain. It turns out the Rifat is also pretty hardy with the lower temperatures, so if you are worried about nightly lows, you should consider this Kratom Plant. 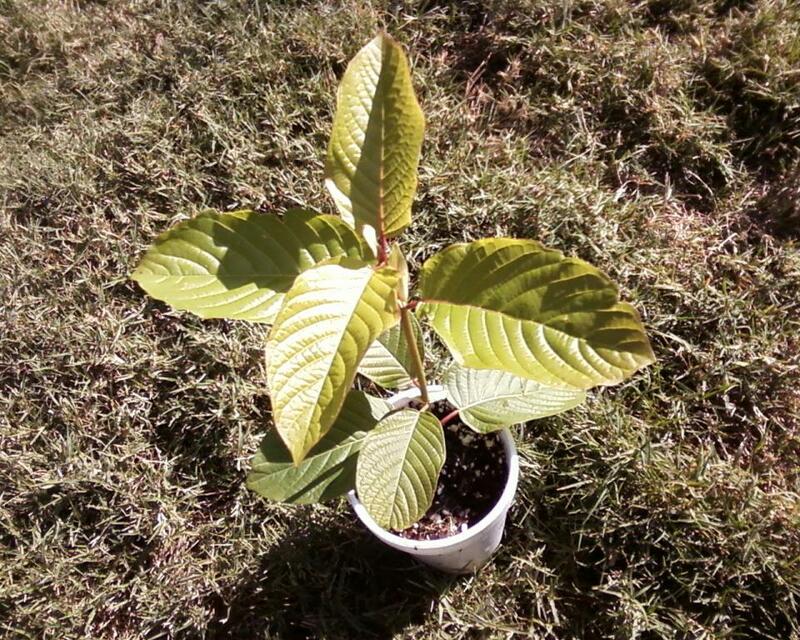 The Rifat Strain is the most popular type of Kratom plants. The Rifat Strain is one of the most sought after strains because of its fast growth and hardiness. The Rifat strain originally came from Thailand, so it is a unique type of Red Vein Thai Strain. Many often ask me, Where did this strain come from, It came from South East Asia, where it has been used for thousands of years throughout history. It’s pretty amazing how people will keep the knowledge of plants that have been learned from their families and passed down from generation to generation. Just from my own personal Kratom cultivation experience, i would like to add that the Rifat strain is the most hardy strain. I recommend this strain for starting out because it is the easiest to grow. I produced a video to display the differences in all of the 5 Kratom plant strains here. You may contact me at EthnoDirect (AT) Gmail dot com, if you have any questions regarding the differences in strains.